A Twine game about depression and suicidal ideation. I, uh, hmmm...don't think I'll top this. You are a monster in every sense of the word, holy cow. There will be a moment where you figure out exactly how to time the headbutts and the game will get way more manageable. 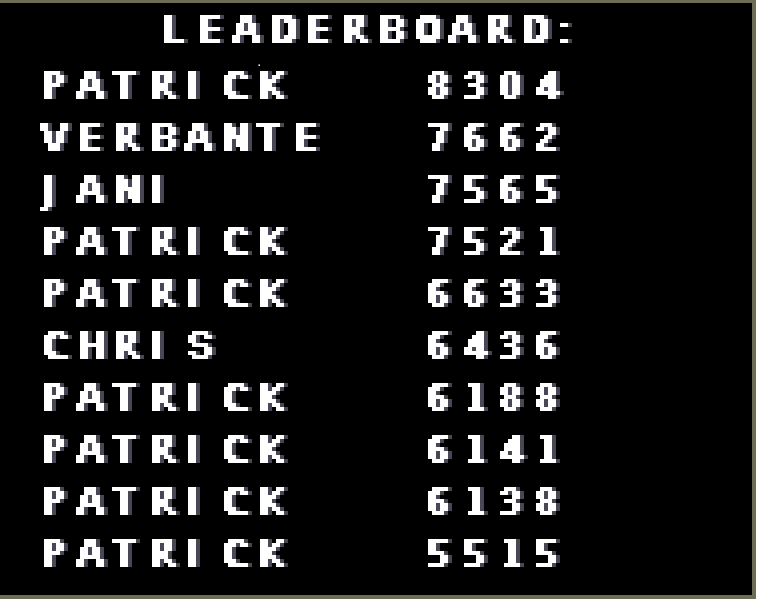 Hey everybody, it's yer boy Patrick, number 1 ranked GOAT player in the entire world. 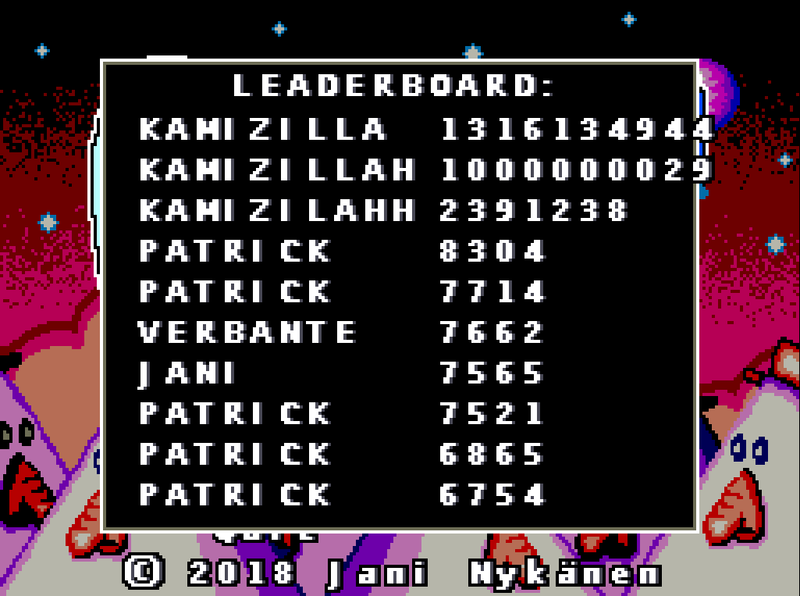 I started playing and liked it but got obsessed with getting my name on the leaderboard after someone left a really bad slur on it (you should, uh, probably be on the lookout for that) and knew I needed to knock it off. Then I knew I had to knock Verbante off the number 1 spot. Boom. Next goal is 10,000 then I can retire with my name in the history books as the true GOAT. My high score is 190.